Enhance the beauty of your bathroom with this unique Colonial WhiteToto LPT642.8#11 pedestal lavatory sink. 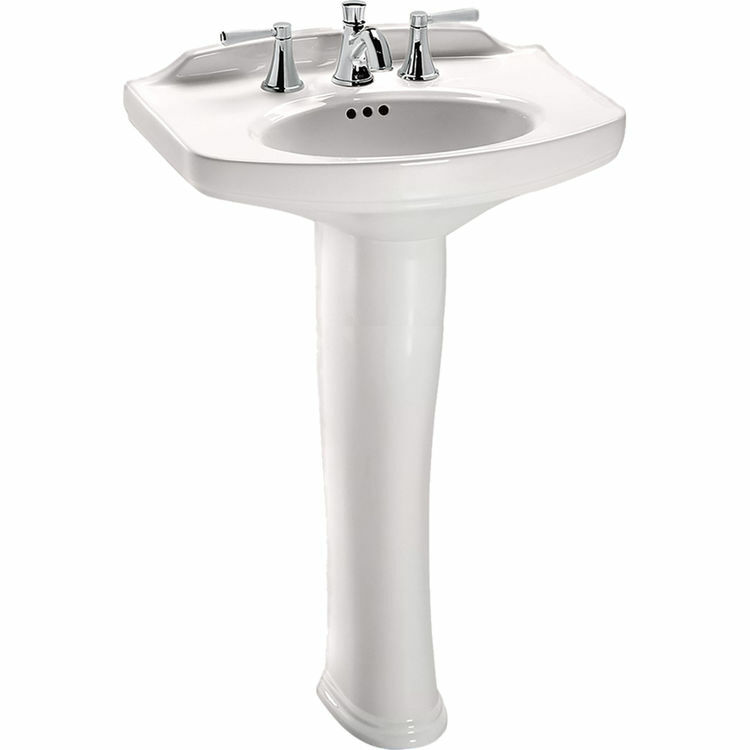 This pedestal sink is 23.25 inches x 18.25 inches and stands at a standard height of 34 inches. The basin is a generous 16 inches wide and 11.25 inches deep. This elegant stylish lavatory sink is made of Vitreous China for durability and is stain-resistant. The unique Colonial White finish sink comes with 8 inch faucet centers without SanaGloss. The vitreous china pedestal and the lavatory combination is complete with mounting hardware. This Toto LPT642.8#11 Dartmouth 23.25 x 18.25 Colonial White Pedestal Lavatory Sink has a rear overflow, and 34 inches universal height for maximum comfort. Thanks to this classically simple and elegant design, Toto LPT642.8#11 Dartmouth 23.25 x 18.25 Colonial White Pedestal Lavatory Sink complements many bathroom designs and makes cleaning and sanitation simple. This product meets and exceeds ASME A112.19.2/CSA B45.1. A certified IAPMO(cUPC), State of Massachusetts, City of Los Angeles, and others also a Code compliance of UPC, IPC, NSPC, NPC Canada, and others. Get one now! At PlumbersStock.com, we are always ready to serve you. Floor to Rim 34 in. Size 24-1/4 in. x 18-1/4 in. Designed with matching toilet and pedestal lavatory. Glasslike china pedestal and lavatory combination. Complete with mounting hardware. Toilets features a seat at 16-1/8 inch or above from the floor. Pedestal lavatories is at a height of 34 inch or above from the floor.